48-Core Cascade Lake-AP and the Xeon E-2100 processor are the latest releases from Intel. Intel has just released two new processors from the Xeon lineup, both built for the data centre business. The two chips in question are the 48-core Cascade Lake Advanced Performance (AP), and the single-socket E-2100. Details on the new hardware is pretty scarce, but Intel has said that the Cascade Lake AP is a top-tier 14nm device; either single or dual-socket processors with up to 48 cores and 12 DDR4 channels per package. It will be available for purchase in the first half of 2019, and Intel will provide more details at the Supercomputing 2018 conference, taking place next week in Texas. The E-2100, on the other hand, is a 14nm chip designed for workstations and lightweight servers. It runs up to 4.7GHz and can carry up to six CPU cores. It supports up to 64GB of DDR4 2666MHz RAM, with 128GB support coming in a Q1 2019 BIOS update. These chips are now available to buy. Intel says these processors are the best performers you can find for HPC, AI and IaaS workloads. They offer the most memory channels, consequently access to the highest memory bandwidth, compared to any other data centre processor. 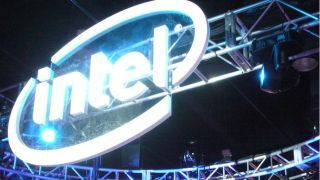 Intel is also expected to release the Xeon Cascade Lake SP series soon.